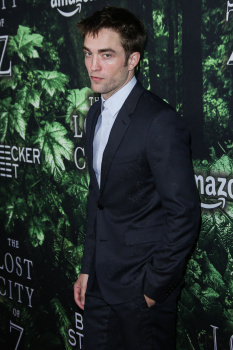 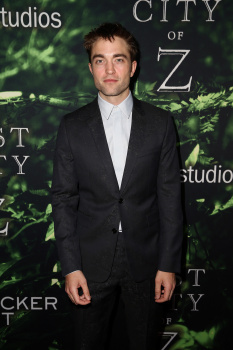 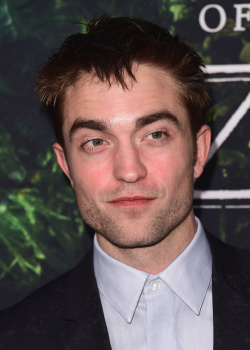 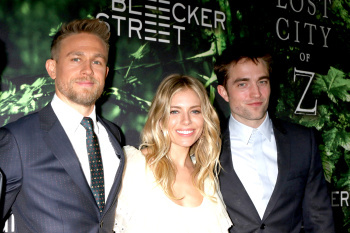 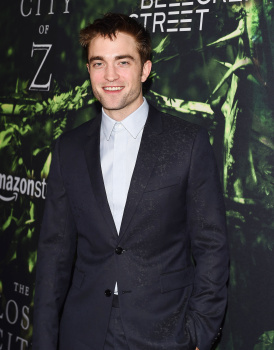 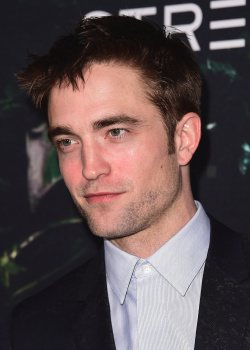 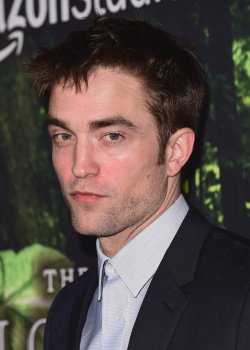 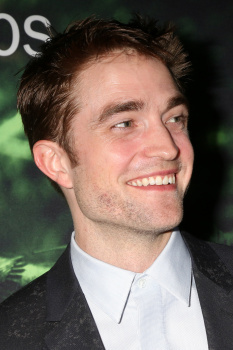 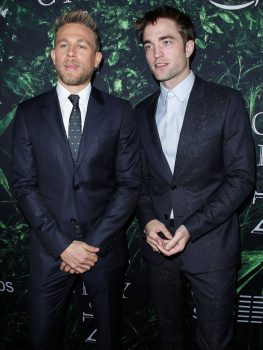 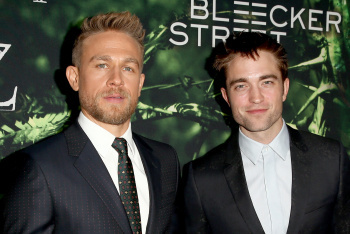 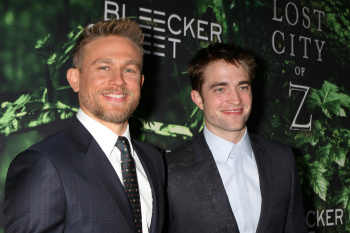 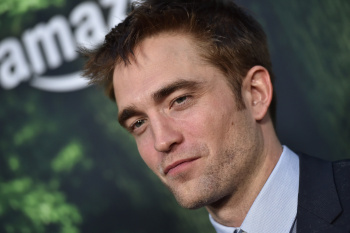 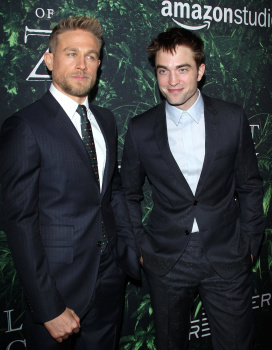 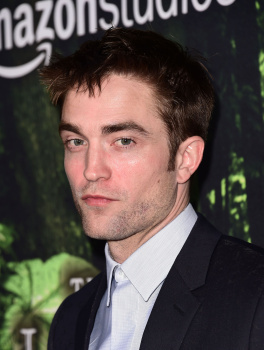 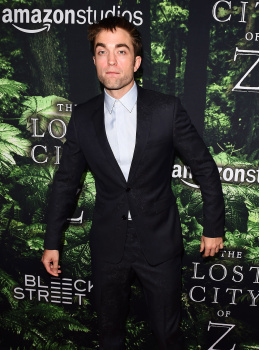 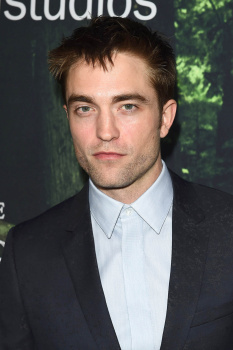 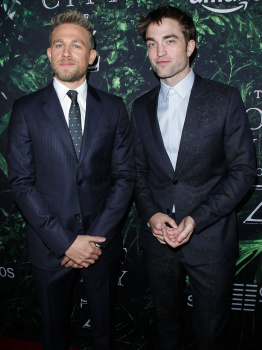 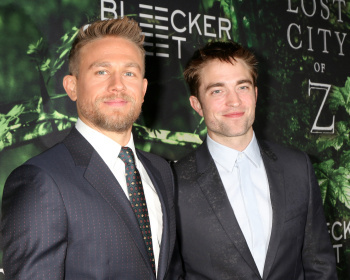 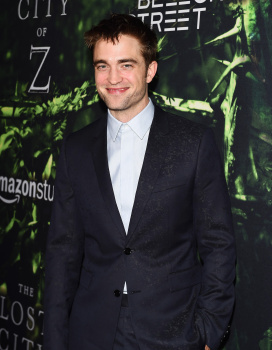 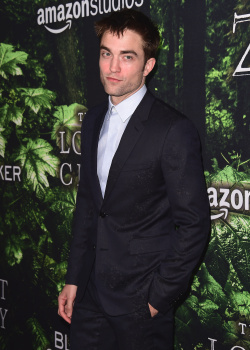 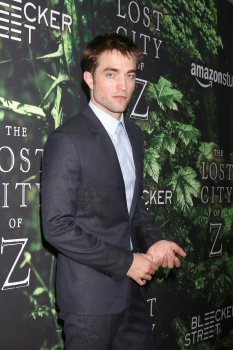 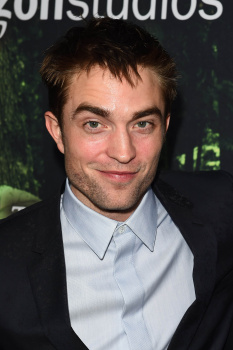 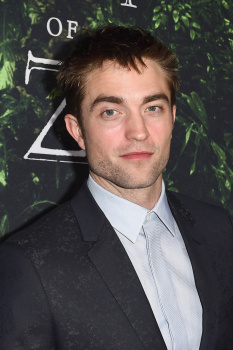 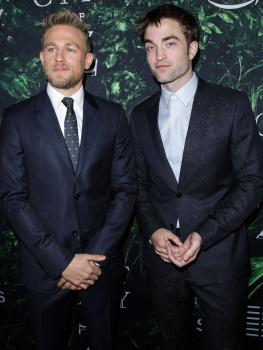 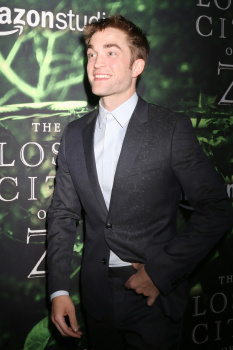 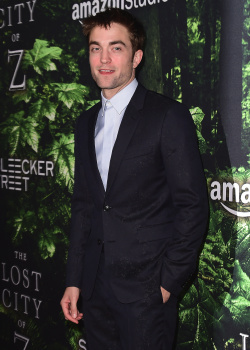 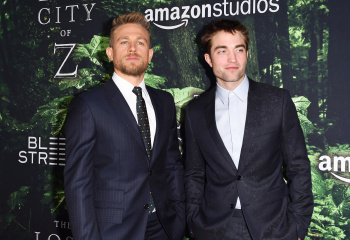 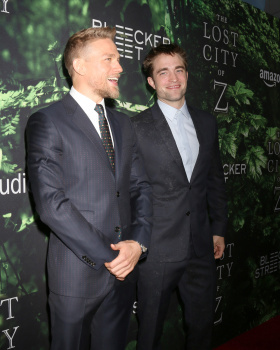 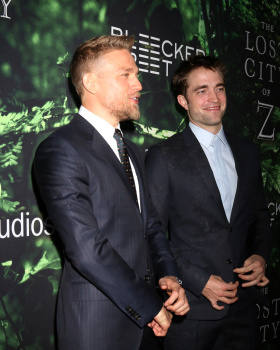 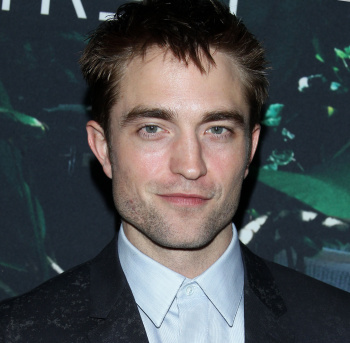 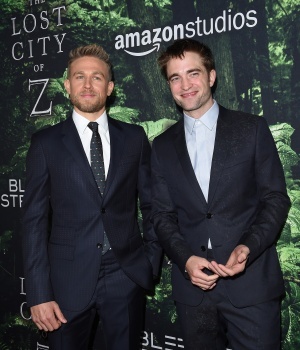 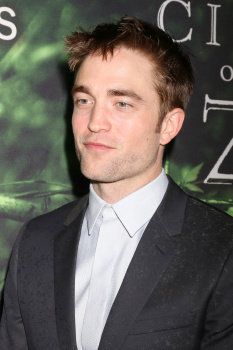 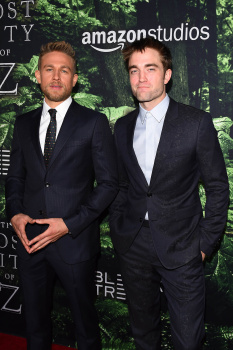 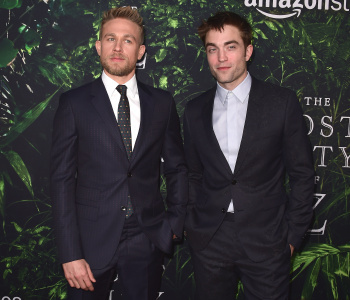 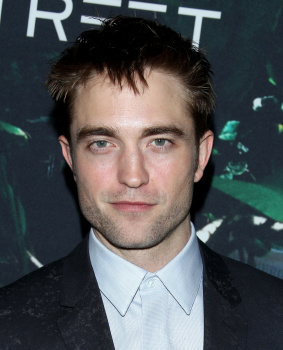 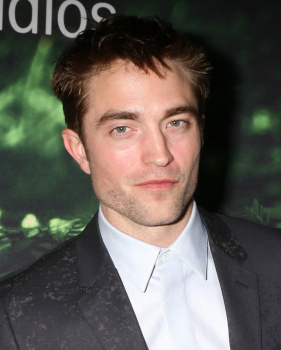 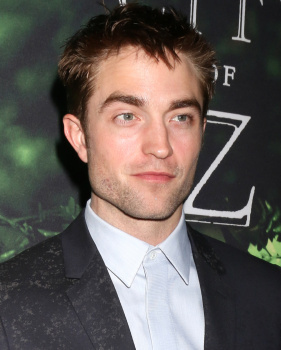 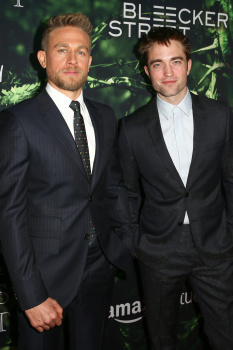 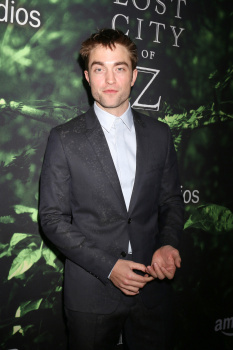 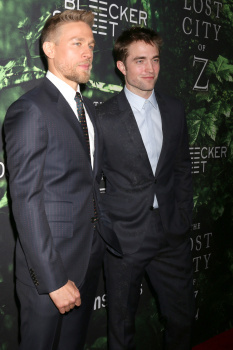 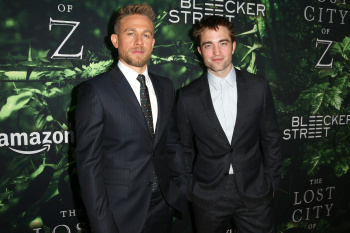 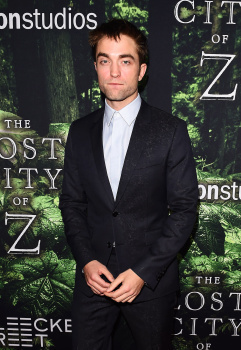 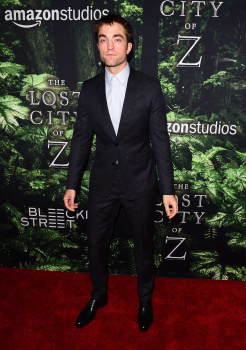 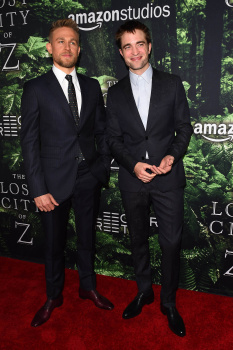 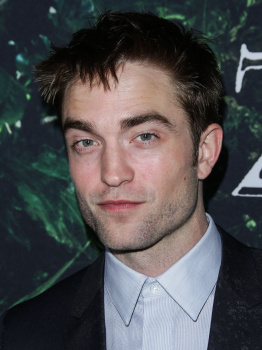 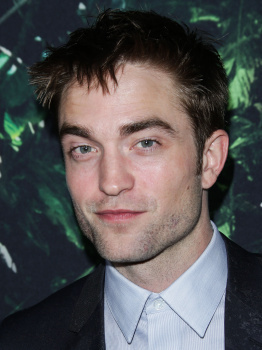 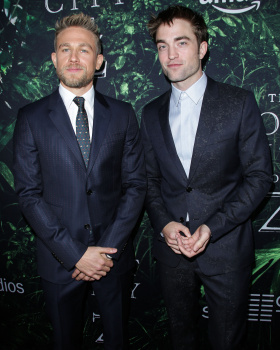 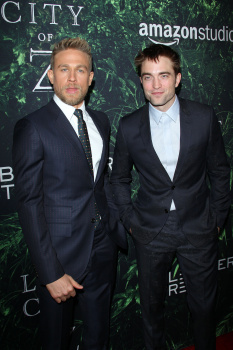 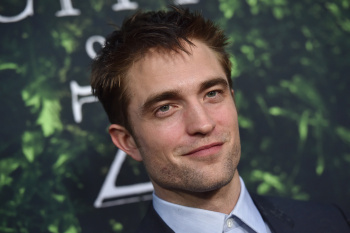 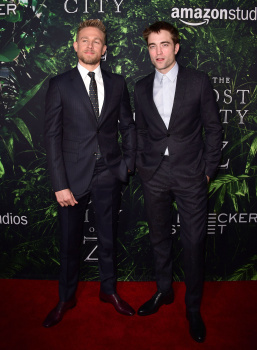 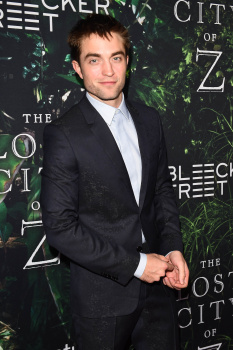 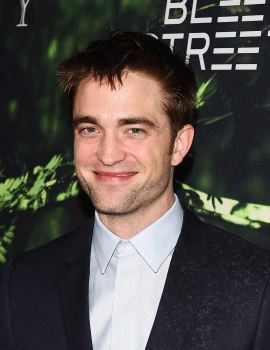 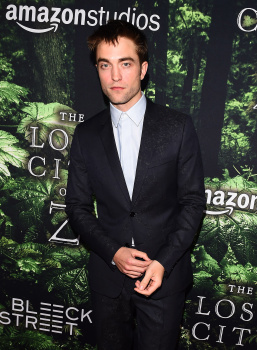 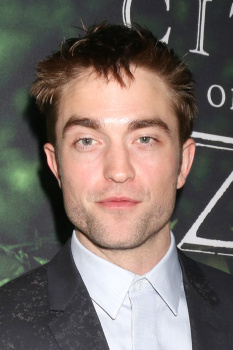 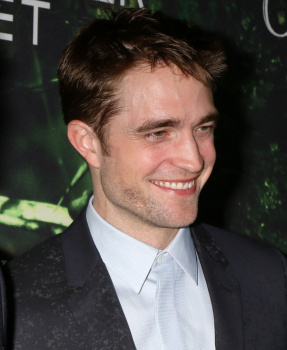 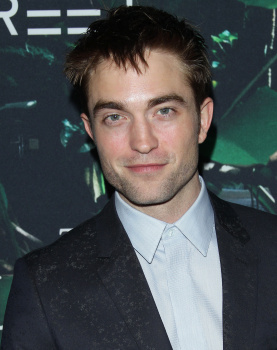 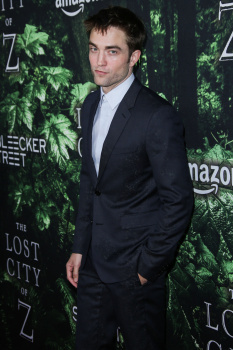 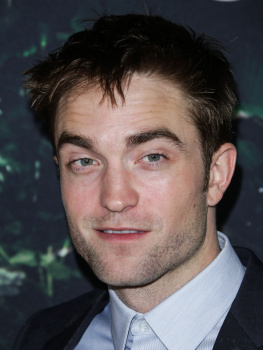 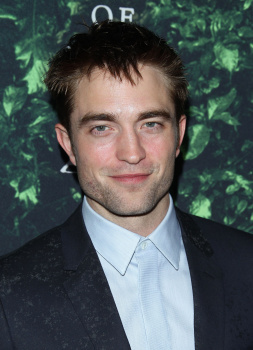 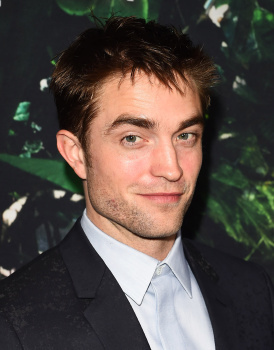 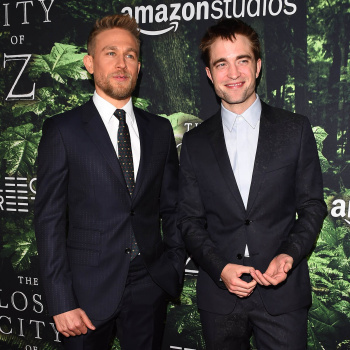 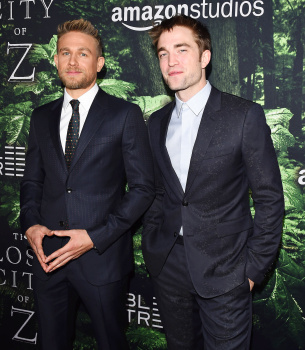 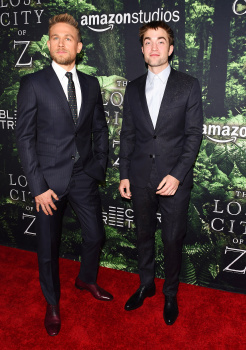 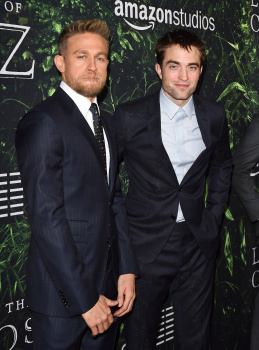 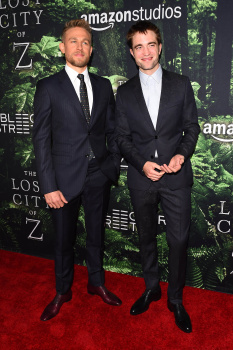 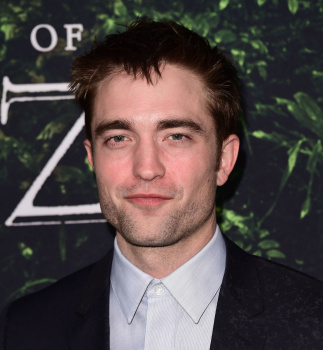 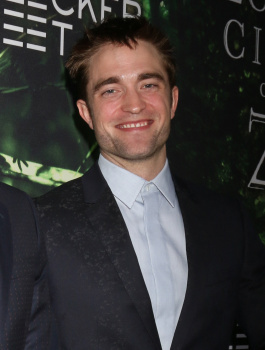 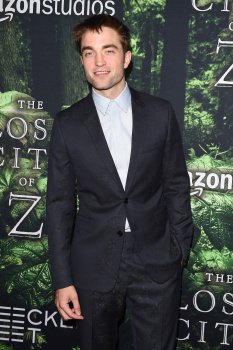 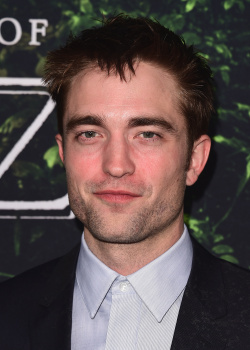 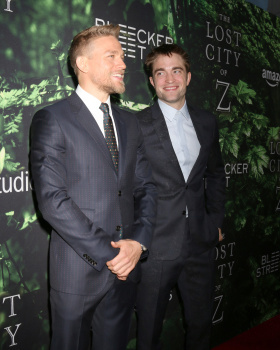 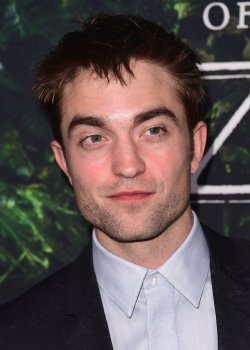 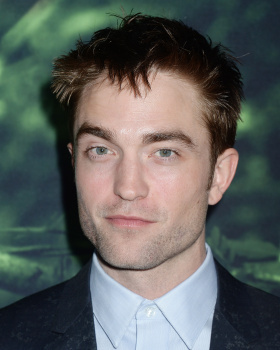 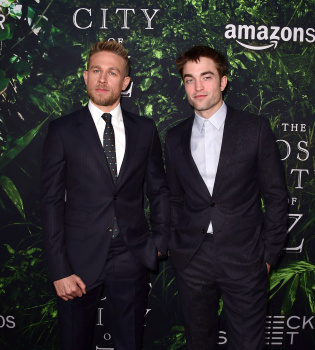 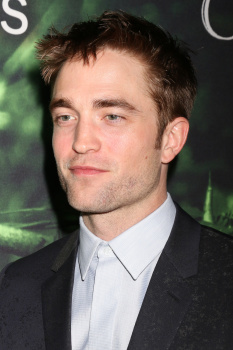 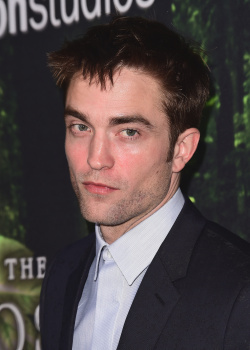 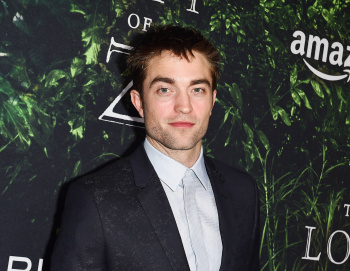 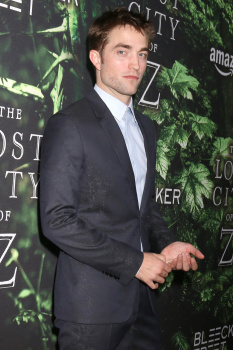 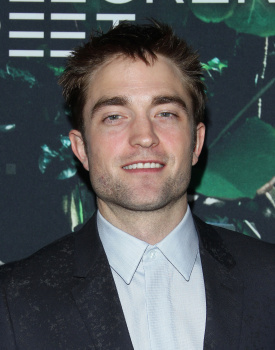 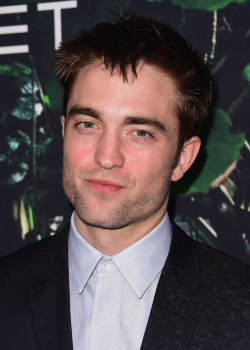 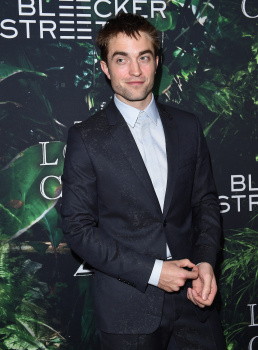 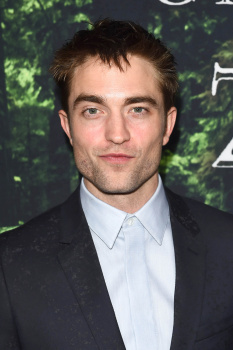 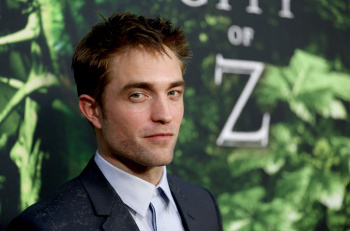 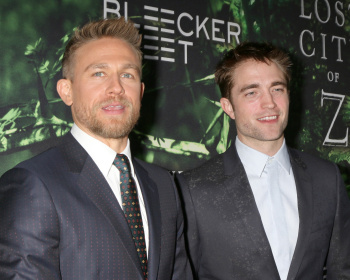 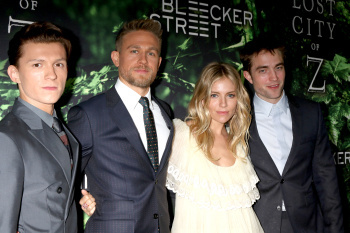 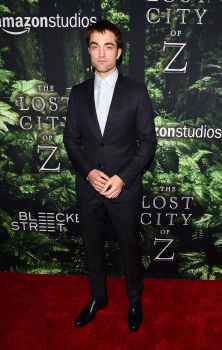 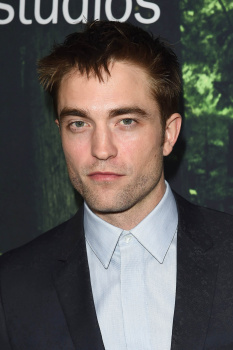 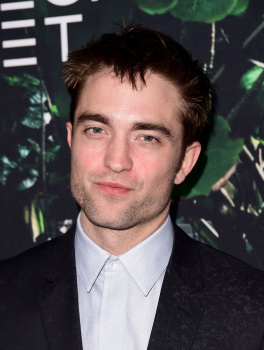 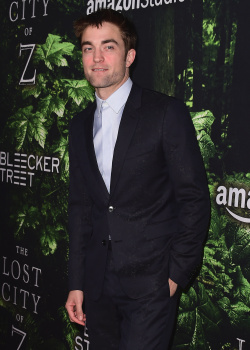 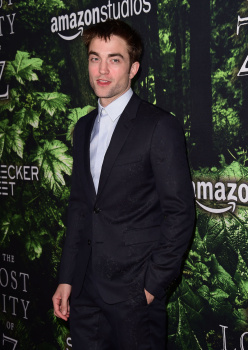 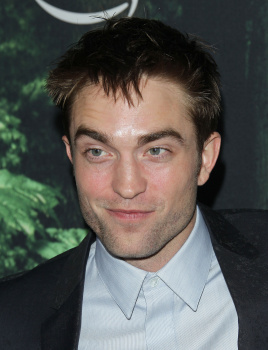 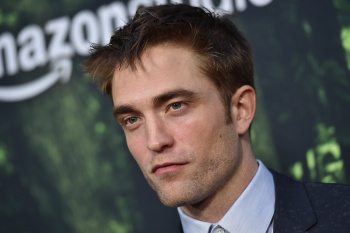 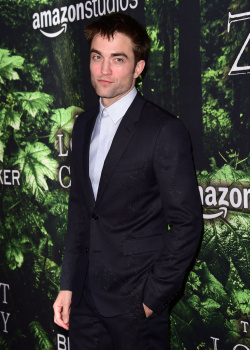 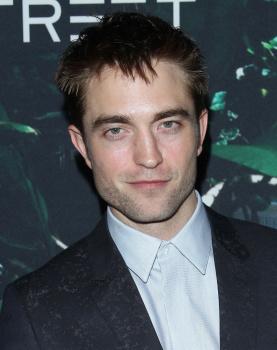 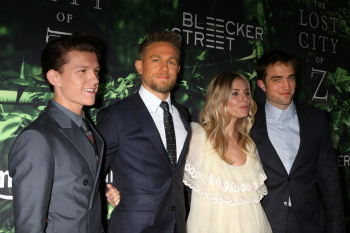 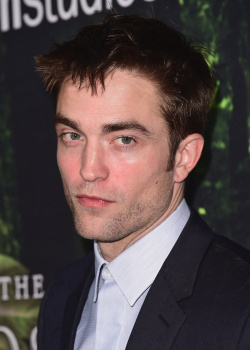 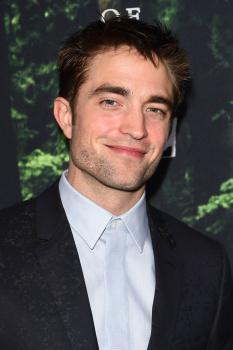 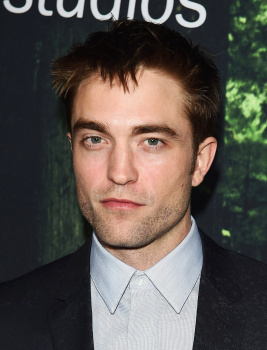 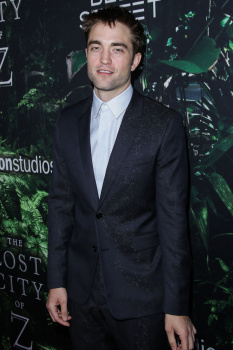 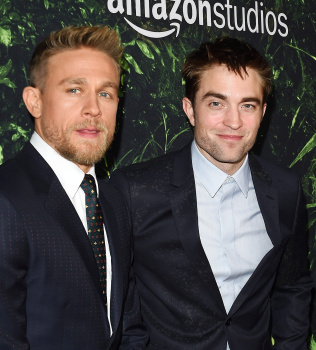 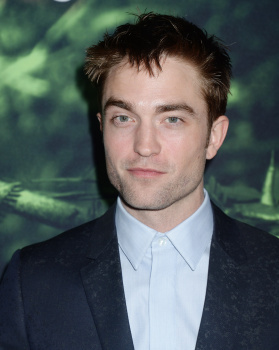 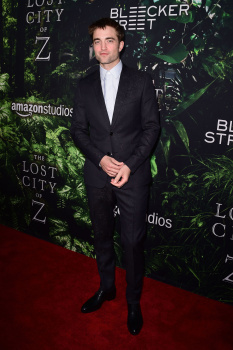 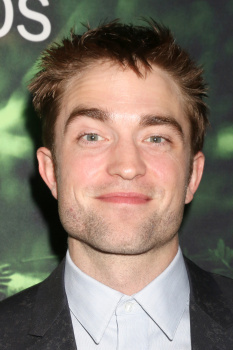 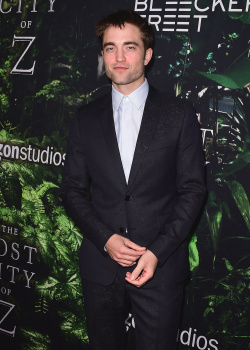 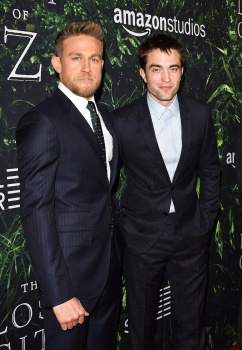 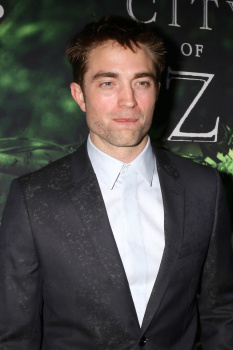 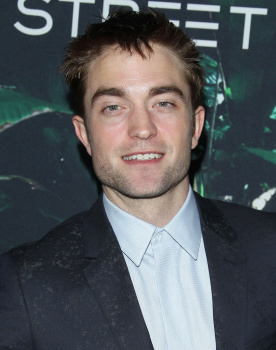 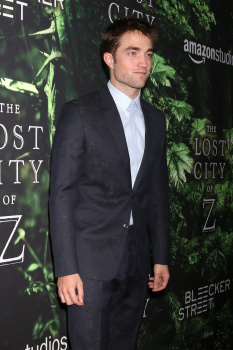 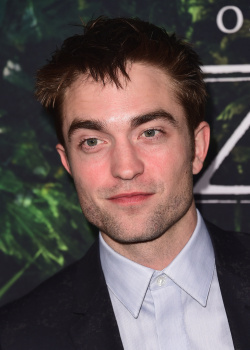 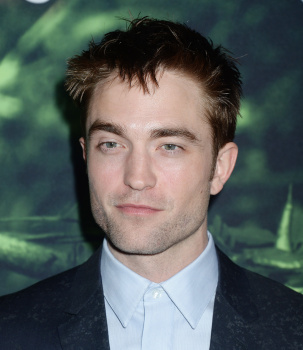 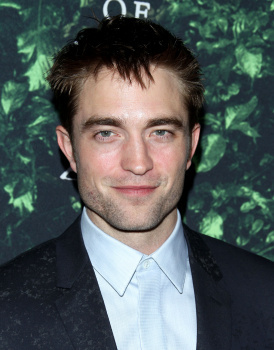 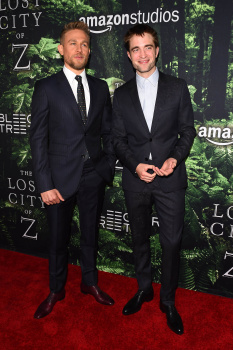 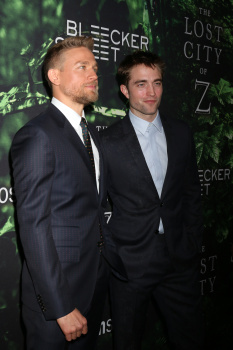 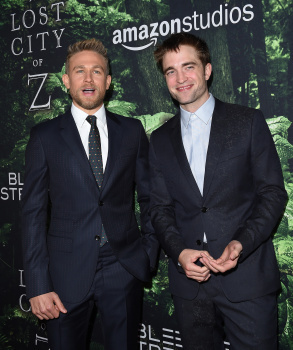 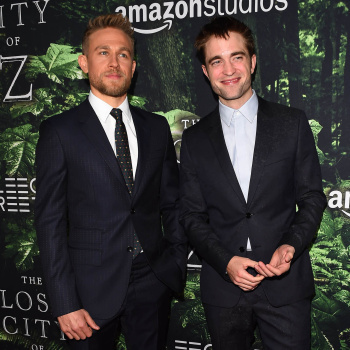 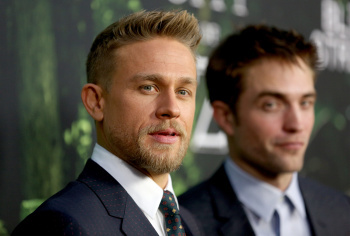 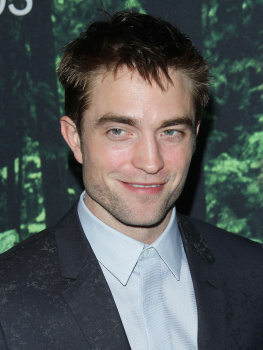 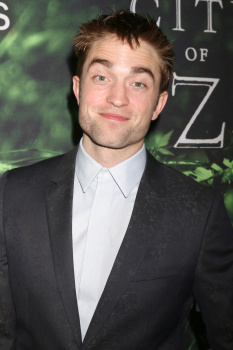 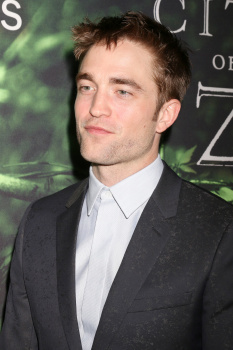 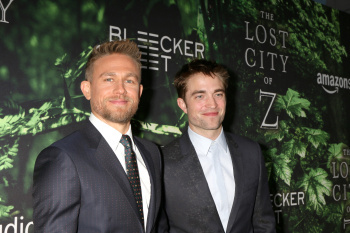 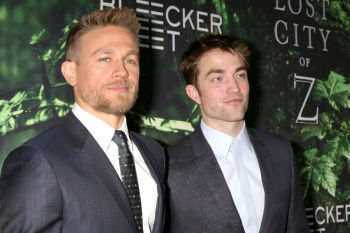 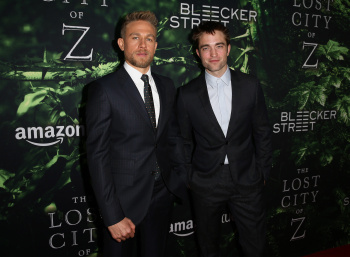 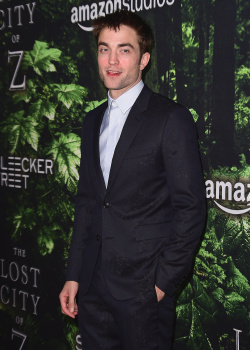 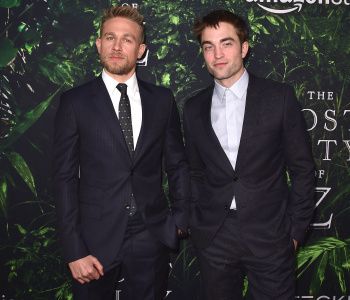 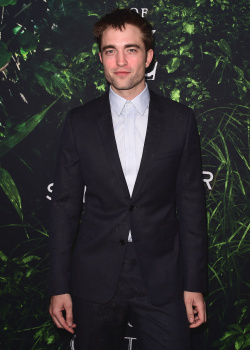 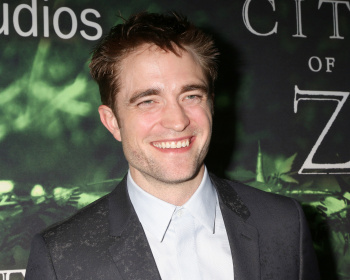 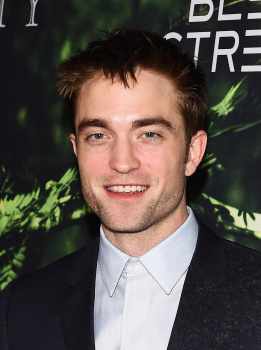 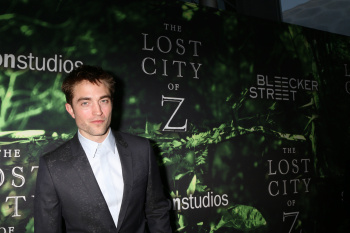 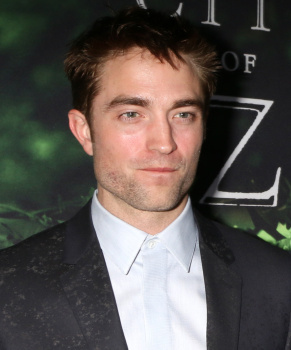 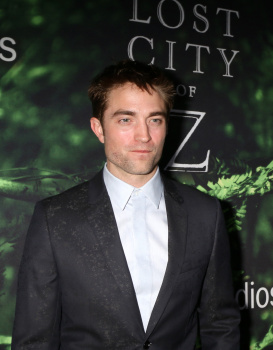 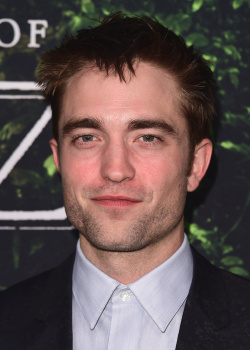 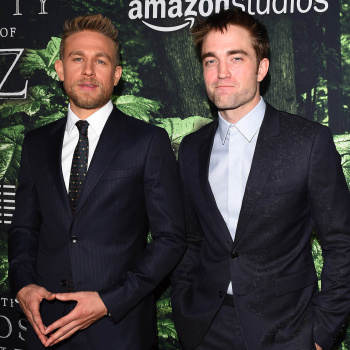 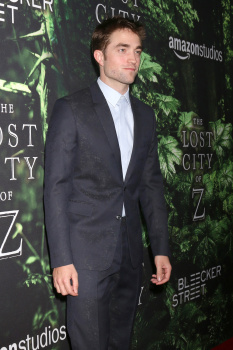 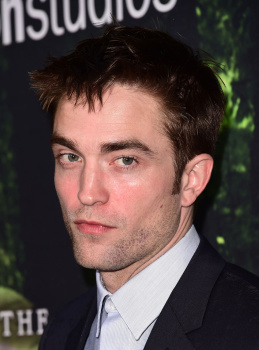 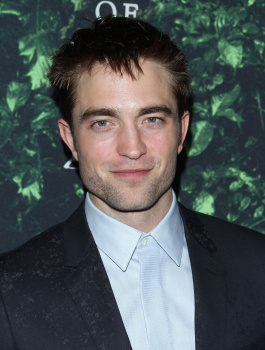 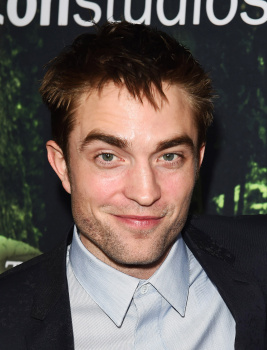 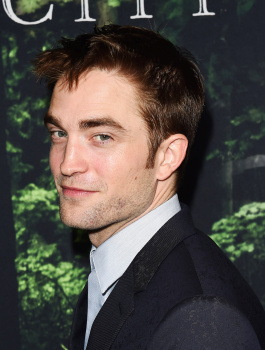 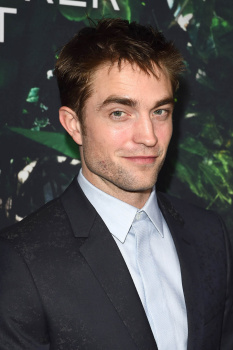 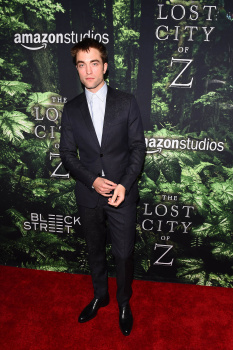 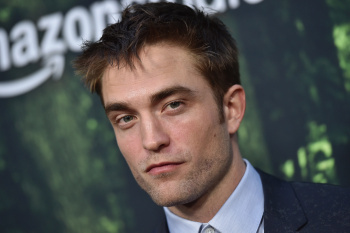 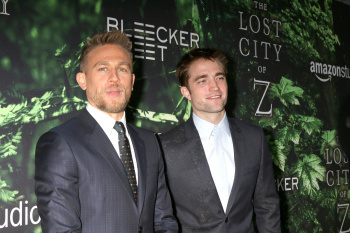 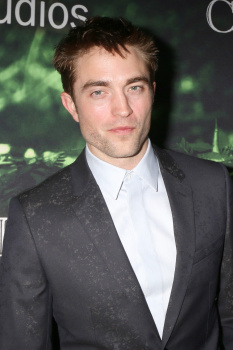 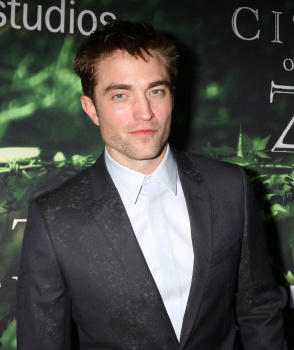 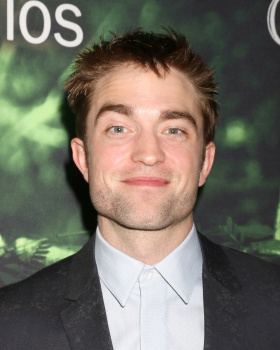 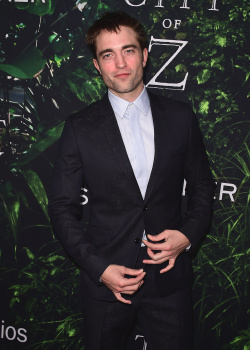 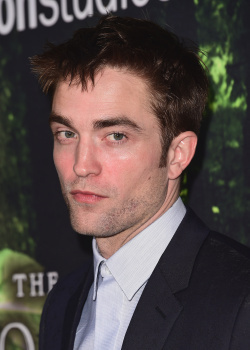 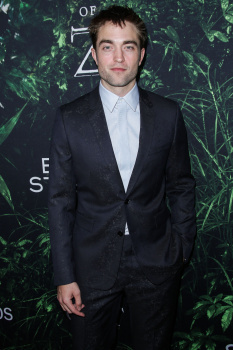 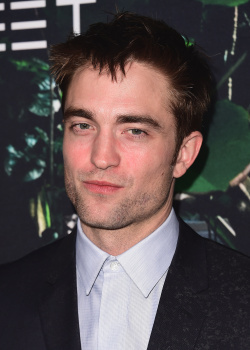 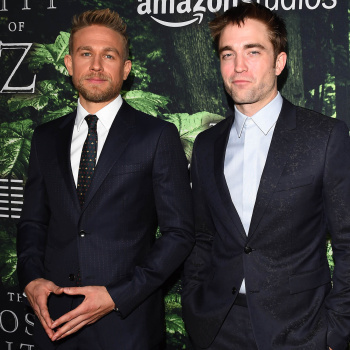 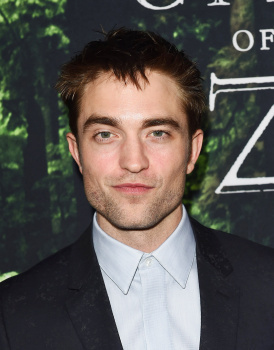 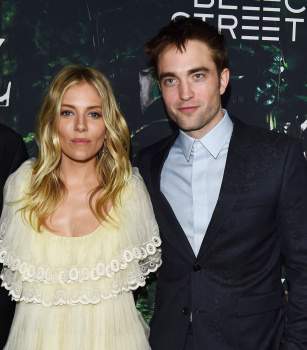 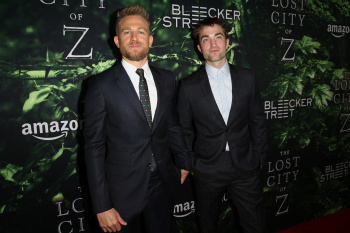 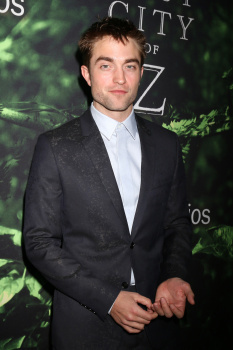 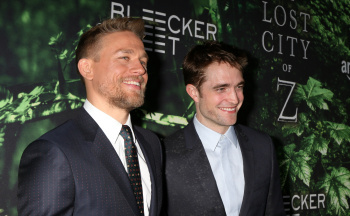 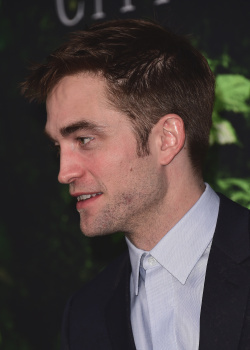 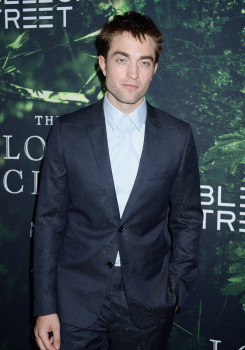 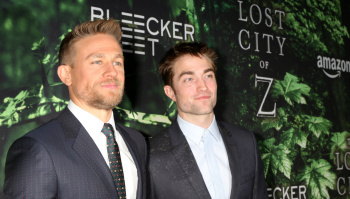 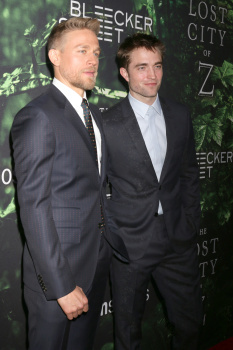 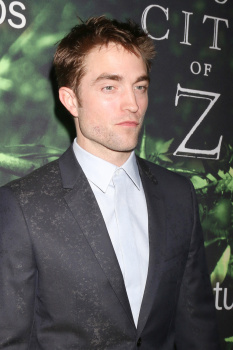 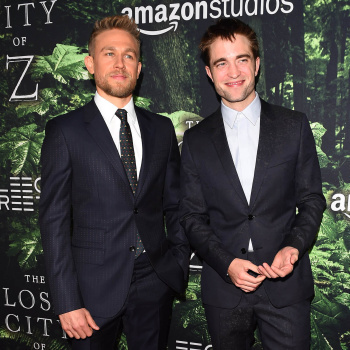 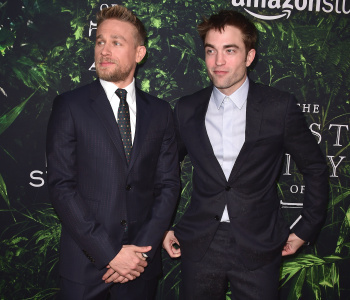 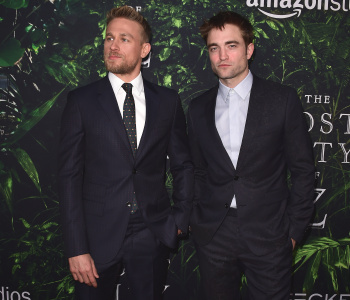 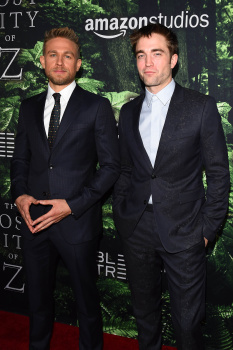 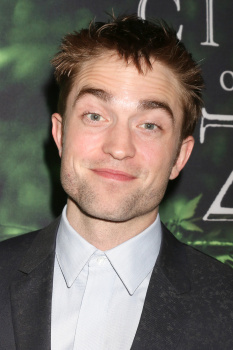 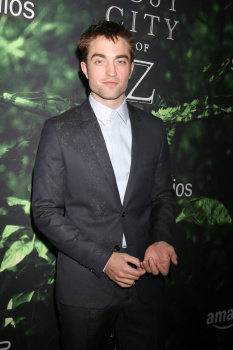 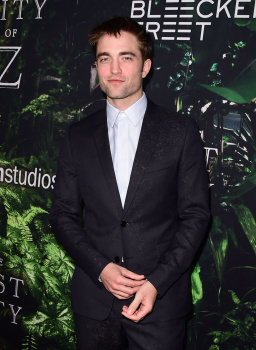 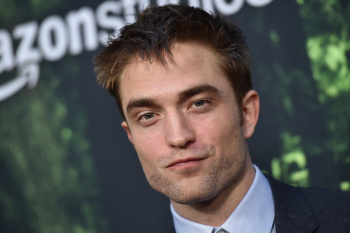 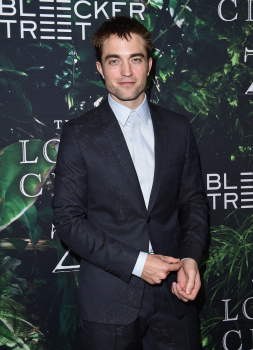 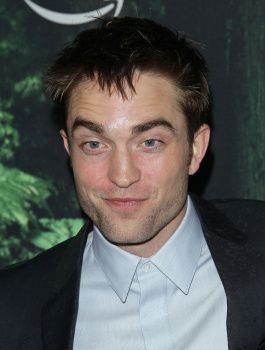 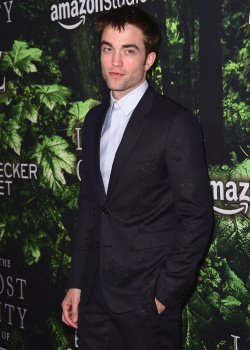 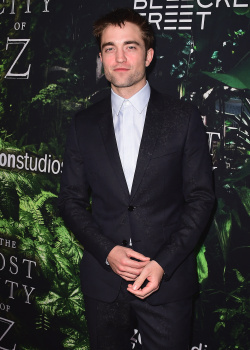 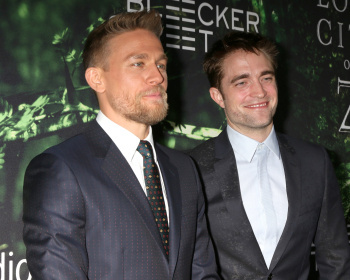 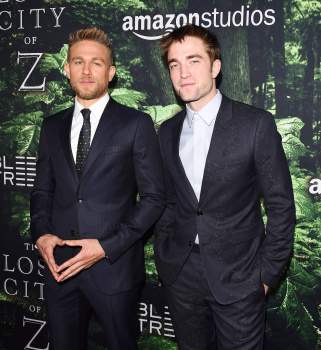 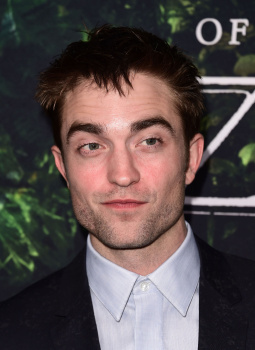 HQ Pics of Rob looking gorgeous on the Red Carpet at the super secret LA Premiere last Wednesday night. 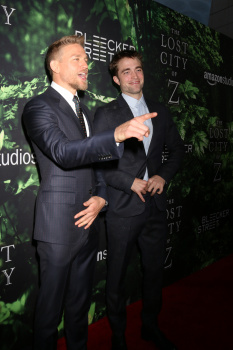 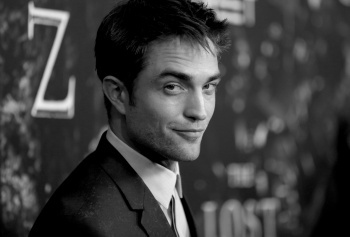 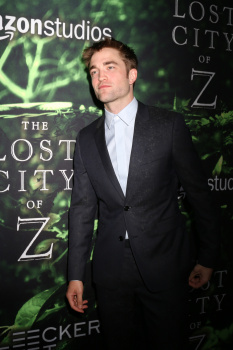 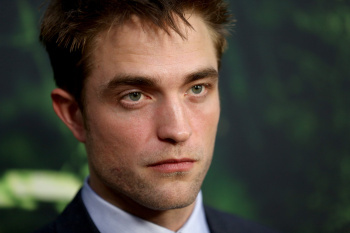 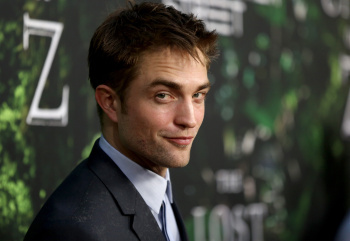 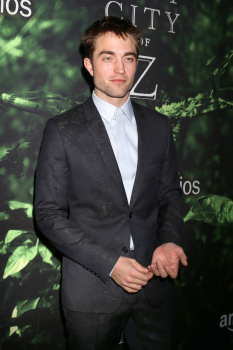 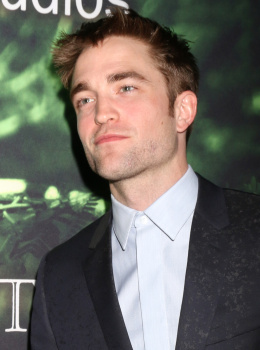 Rob thinking about how he can drive us crazy! 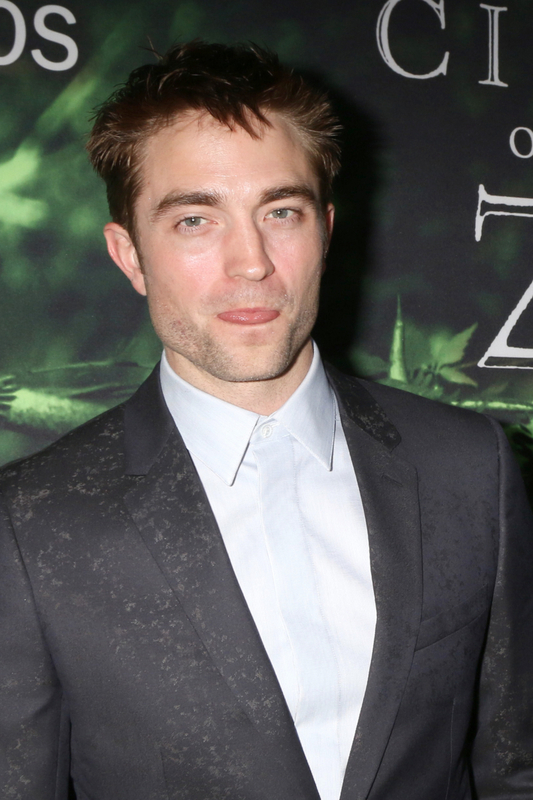 And there he goes, killing us with that tongue. 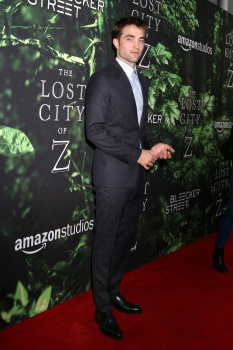 Filling Charlie in on how many of us he can slay by just licking his lips! 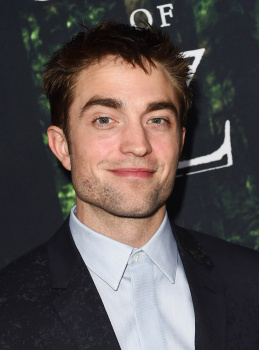 See you all in the DR.
LOADS OF HQ'S AFTER THE CUT! 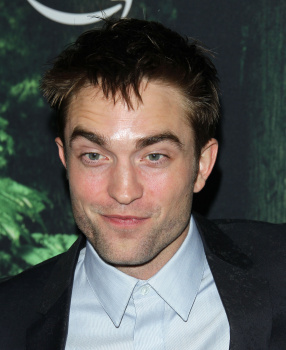 The air conditioning is on high in the DR, you're going to need it.